As we draw close to the current financial year, markets have corrected ~10% from recent all-time high NIFTY of 11,171 touched on 29th January 2018. The markets & especially mid & small-caps were overvalued & some price rationalization is happening. The increasing trend in 10 year g-sec rates in both India & the USA are a concern & there could be some capital re-allocation from equity to debt happening at these levels. Assets under management of the Indian mutual fund industry were Rs 22.20 lakh cr in February, down from Rs 22.41 lakh cr in January. Despite the stock markets declining, net inflows into equity mutual fund schemes continued to remain strong. Equity funds (including ELSS) witnessed monthly net inflows of Rs 16,268 cr, up 5.7% m-o-m and more than 150% y-o-y. Net inflows in the balanced category were at a one-year low of Rs 5,026 cr in February, possibly owing to the government proposal of imposing dividend distribution tax in the budget 2018-19. In pursuance of his ‘America First’ policy, US President Donald Trump imposed import tariffs of 25% on steel and 10% on aluminium. This has led to a sharp fall in global commodity prices. There are also fears of a global backlash from the European Union & China who may come up with counter-tariffs on US products. A possible Fed rate hike is around the corner on 20-21st March after the strong U.S. job data report strengthened the USD. The Budget 2018 proposed to change how long term capital gains (LTCG) on equity shares and units of equity-oriented MFs are taxed in your hands. LTCG exceeding Rs.1 lakh, will be taxed @10% without the benefit of indexation. All gains up to 31st January 2018 will be grandfathered. STCG will continue to be taxed at 15%. Tax on dividend distribution by equity oriented MFs was pegged @ 10% and this will hurt the dividend paying MFs. As most shares & MF NAVs are currently below 31st January levels a sell-off on this account is unlikely. With expectation of increase in fiscal deficit & hence increase in government borrowings there has been a sharp increase in 10-year G-sec rates in India. From around 6.5% 6 months back rates went up to ~7.75% by end of February and are currently hovering around 7.65%. This has not only led to disruption in the bond yield markets over the last few months but has also lead to fears of asset re-allocation of funds from equity to debt. Banks led by SBI has started raising deposit rates marginally last month & there are possibilities of RBI reversing the downward trend it has followed relating to repo rates over the last couple of years & increasing repo rate in the next six months. Although the index has corrected by only ~10% some mid-cap & small-cap stocks have corrected by 20-30% from recent highs. Thus valuations have reduced to relatively normal levels. Although market P/E is still at very high levels it is largely due to losses reported in financial services, especially PSU banks. Crude prices have corrected marginally from recent highs & should stabilize lower as demand weakens with winters over in Europe & USA. We expect FED to increase rates by 25bps this month but that is largely factored in. Economic data has been significantly better y-o-y over the last few months largely due to a low base effect of last year which should provide some support to the markets. Any correction in quality stocks is a good opportunity for investors to enter or re-enter the stock markets at lower prices if they had missed out previously. 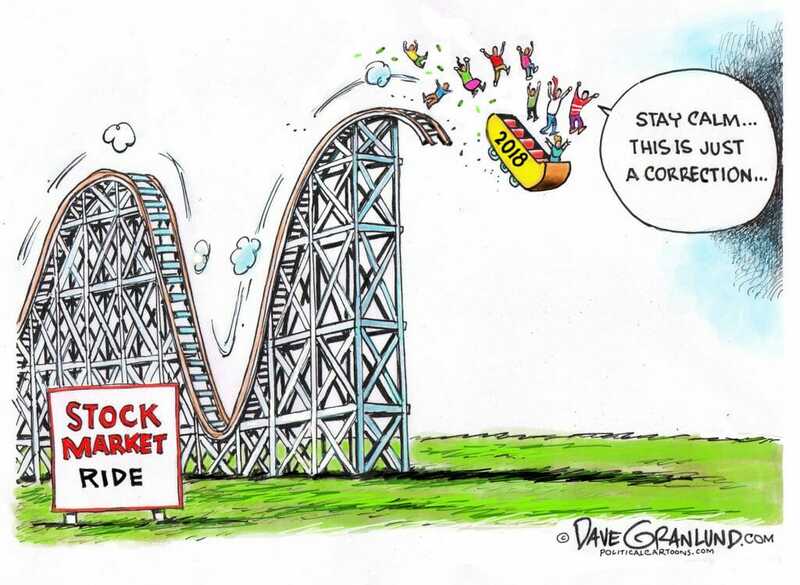 The markets look nervous and one needs to tread with caution though for long term investors one should keep accumulating on every given opportunity.